A British citizen has the right to permanently live in the UK without any immigration restrictions whatsoever. This right is also known as the right of abode. Depending on your immigration background or nationality – eg, if you are married to a British citizen or have been granted Indefinite Leave to Remain (ILR) – you may be able to apply for British citizenship. Most people who are settled in the UK (have ILR or permanent residence) take it for granted believing their right to stay in the UK is forever. They do not know that their right of permanent stay may be revoked in certain circumstances, for instance as a result of a criminal conviction or a long stay abroad. It is therefore advisable to apply for naturalisation or British citizenship as soon as you qualify. Additionally, there are circumstances in which a person who was not born British automatically becomes a British citizen by operation of law, without ever needing registration, naturalisation or application – as in the case of a child who is legally adopted by a British citizen. Under British nationality law, citizenship is not a right but a privilege extended at the sole discretion of the Secretary of State. This means that even if you appear to meet the legal requirements for citizenship, you may still be refused. What makes it even more complicated is that there is no right of appeal if your application is refused. Hence it is critical that proper legal representation is sought to develop the best possible case and increase the prospects of success. Moreover if an application for citizenship is refused, any application fee paid to the Home Office is not refundable. The refusal also might make a future application much more complex or even impossible in certain circumstances. Getting professional legal advice is therefore all you can do to ensure that your application meets all applicable legal requirements. 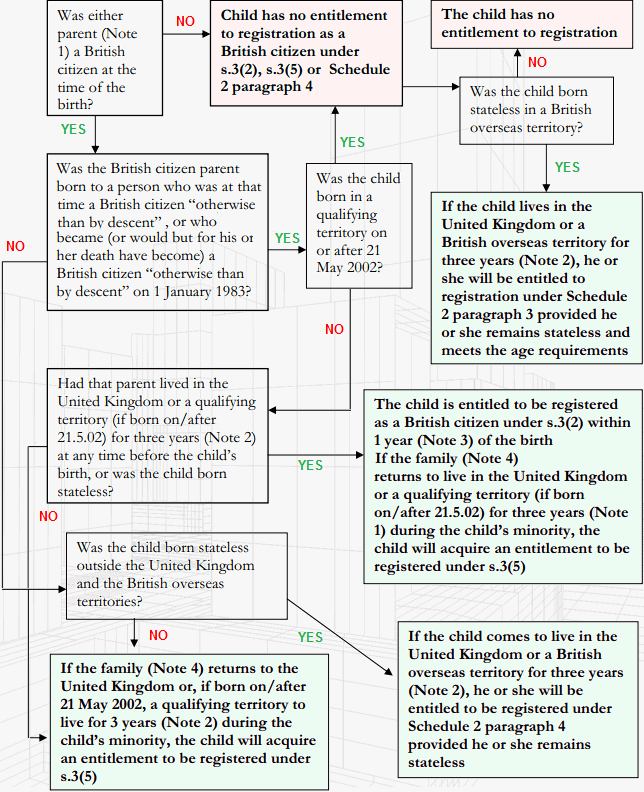 The question of whether or not you were born a British citizen is an extremely complex one as it depends on a combination of factors including where and when you were born, the nationality of your parents and the law in force at the time of your birth. It also has to do with British nationality law being the most complicated in world primarily because it has evolved rapidly through decades of Britain's colonial past and historical relationship with the commonwealth countries. It will therefore be necessary to go back several generations in time to determine whether you are a British citizen or are entitled to apply to become one. Those who have ILR, or Permanent Residence as European nationals, may be eligible to apply for British Citizenship by naturalisation so long as they fulfill the legal requirements which include, among others, residence requirement, sufficient knowledge of the English language and of life in the UK (KoLL), and good character. KoLL is formally examined, whereas good character involves meeting certain conditions such as paying taxes and national insurance contributions and not having an adverse criminal history and disregard of the law. Once your application is successful Naturalisation takes place at a public ceremony where you will make an oath or affirmation of allegiance. Although this route may be available to adults in limited circumstances, British citizenship by registration is primarily meant for children. The main condition for those over the age of ten years is to be of good character, knowledge of the English language or of life in the UK is not required at all. One example of the use of this route by adults is to address the issues of discrimination in the past. For instance, people born to certain British mothers between 7 February 1961 and 1 January 1983 may be able to register as British because at the time when they were born, only British fathers were able to pass their nationality on to their children born abroad. This bar was removed in 1983, however the consequences of the historic discrimination still persist for people born abroad to British mothers before 7 February 1961. As a result of changes implemented on 13 January 2010, children of serving members of the armed forces, British Nationals (Overseas) who have no other citizenship or nationality (other conditions apply) and the children of British mothers, whenever they were born became eligible for British Citizenship by registration. Before 1 July 2006 a child could only obtain citizenship through his or her father if the parents were married. The law changed on 1 July 2006 to allow a person to acquire citizenship through his or her father, irrespective of whether the parents were married, subject to proof of paternity. That change unfortunately was not made retrospective. But now the law has been amended to create a registration route for those born before 1 July 2006 who would have become British citizens had their parents been married. ♠ Those born before 1 January 1983 who would have acquired the status of British subject or citizen of the United Kingdom and Colonies and would have gone on to become a British citizen if their parents were married (section 4I). ♠ Those who could have become a British citizen had their parents registered their birth or registered them as a British subject or CUKC, but did not do so. ♠ Those who would have become British citizens but for the fact that their grandparents were not married. 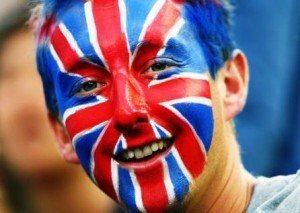 ♠ Those who acquired British citizenship in another way and have since renounced or been deprived of that status. The complexity of British nationality law can be demonstrated from the fact that, apart from British Citizenship, there are many other types of British nationality stemming from the legacy of the British Empire. These types include British Overseas Territories Citizens, British Subjects, British Nationals (Overseas), British Overseas Citizens and British Protected Persons. Unlike British citizenship, these other types of British nationality do not normally carry a right of residence in the UK. These may however offer additional routes to gaining a right of residence or becoming a British citizen, for example British ancestry applications. If you want to become a British citizen you do not need to give up the citizenship of your country of origin as the UK law recognises the right to have dual nationality. You may however lose your previous citizenship automatically upon acquiring British citizenship if you are a national of a country who does not approve of gaining another nationality. Once you have become a British citizen you can apply for the British passport which is the most powerful in the world for its holders can enter more countries than Americans, Canadians, Australians or Germans. If you don't have the right supporting documentation to apply for passport you may be able to apply for a nationality status document. NCS is an optional application copying and submission service offered by certain local councils. Their advisers photocopy your documents and give the originals back, and send your application off to the Home Office after ensuring that the application is complete. The NCS however cannot prepare your citizenship application, offer citizenship advice or representation. It is therefore important that you seek help from authorised immigration lawyers like 1st Citizen in order to prepare a case which meets all the applicable legal requirements. Once your case is ready for submission we may then advise you to go through NCS in case you don't wish to send your original documents or passports with the application or have plans to travel abroad after submitting your application. Note 2. Absences from the British overseas territories (or, in the case of paragraph 4 of Schedule 2, the United Kingdom and the British overseas territories) of up to 270 days during these three year periods are permitted. Note 3. The Home Secretary has discretion, in the special circumstances of a particular case, to accept an application up to six years after the child’s birth. • either parent is dead, the parents’ marriage is terminated, or the parents are legally separated at the time of the application, in which case it means the child and one of the parents. If you'd like to apply for British Citizenship please be aware that a good number of applicants are refused even though they appear to meet the legal requirements. These refusals are attributable to the applicant's failure to provide evidence in the format required by the immigration rules or them being legally illiterate failing to properly understand the UK citizenship and nationality law. The applicant, as a result, not not only loses the application but also the application fees. Another costly consequence of a failed visa application is that applicants do not have right of appeal. It is therefore critical that proper immigration advice and representation is sought before you submit your case to the Home Office to ensure you meet all applicable citizenship rules and policy guidelines increasing your prospects of success. Do you know there is no right of appeal if your application for British citizenship or naturalisation is refused. Don't risk your application. As UK's leading citizenship lawyers with inimitable reputation for excellence in British citizenship applications, we will provide you with legal advice & services that are tailored to your circumstances, free of legal jargon and aimed to get the best possible results for you. Our British citizenship lawyers and advisers in London & Birmingham will make a professional assessment of your case advising you of its strengths and weaknesses. After receiving your instructions we will come on record as your lawyers and will not only provide ongoing citizenship advice and collate supporting evidence, but will also prepare your British citizenship / naturalisation application and draft and submit legal representations in support of the same to the British Home Office. We will keep you informed throughout the process, liaise with the Home Office whilst your British citizenship application is considered and get a decision on your British citizenship application. Our accredited citizenship lawyers and advisers in London & Birmingham specialise exclusively in citizenship law and charge fixed fees unlike solicitors. Call or email us today to getcitizenship advice and representation you need to develop the best possible case and increase your chances of success.